A month ago, Godox released their new flash commander, the XPro-C. This new product was designed to make the experience of shooting with their 2.4 GHz X1 system much more pleasant for photographers. The XPro-C is just for Canon cameras, but we are happy to report that Godox has now announced a Nikon version, the XPro-N, which will ship in the coming months. Compared to the older X1 transmitter, the XPro has a much bigger screen and many more buttons that provide a much better shooting experience. It will be easier and more intuitive to change settings with the newer XPro transmitter, but besides these ergonomic improvements the XPro also features one significant new function over the older X1, which is called TCM. 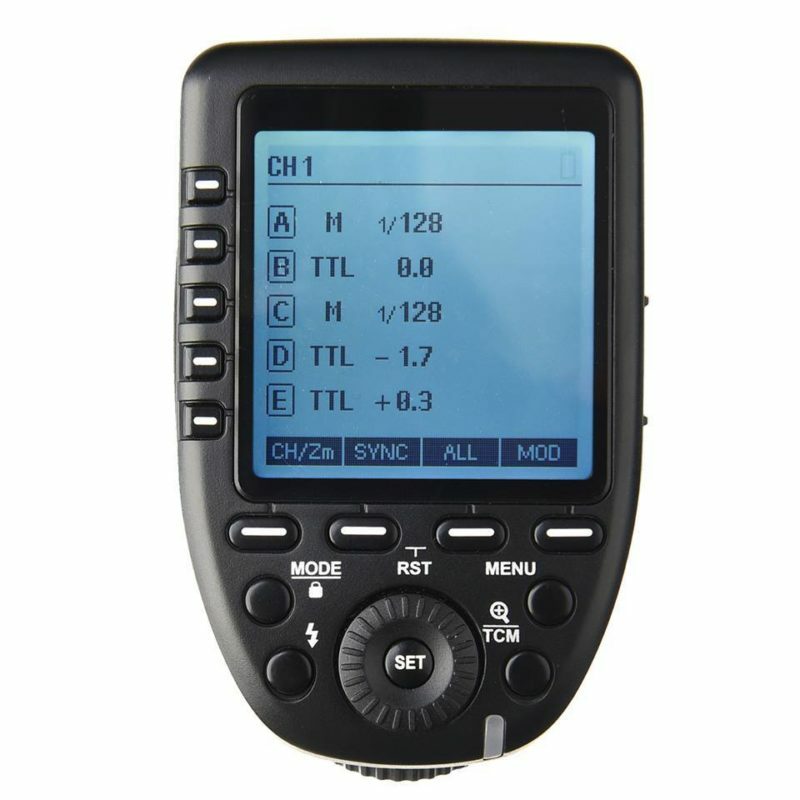 This stands for TTL-Convert-Manual, which lets you meter your flashes in TTL mode, then click a button and switch to manual power mode, with settings automatically adjusted to give equivalent output. You can then tweak the output manually up or down as you please, or leave it there for consistent exposures. The XPro transmitter for Nikon will start shipping in the coming month and can be bought for $69 (US). Godox has indicated that they are planning release the XPro for Sony, Olympus/Panasonic and Fuji as well before the end of the year.